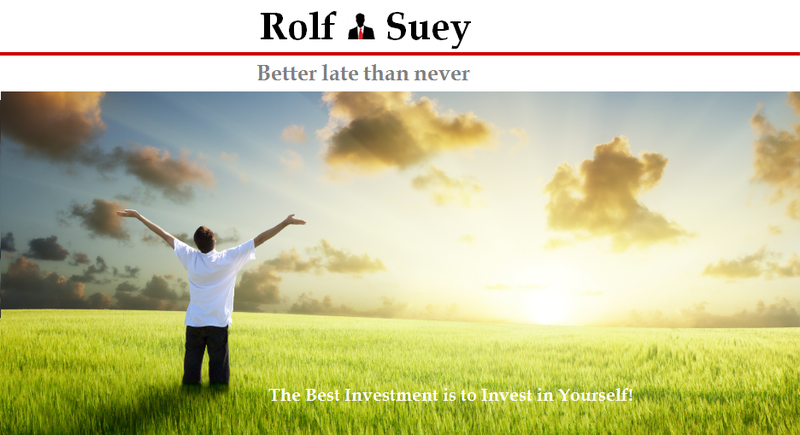 Rolf Suey - Better Late Than Never: Invest in SGX Companies with Exposures in China OR Japan? Invest in SGX Companies with Exposures in China OR Japan? Last week for me, is all about a hectic business travels all over China for me. The trip goes like this, Singapore-Beijing-Tianjing-Nantong-Suzhou-Shanghai-Singapore. Phew….! 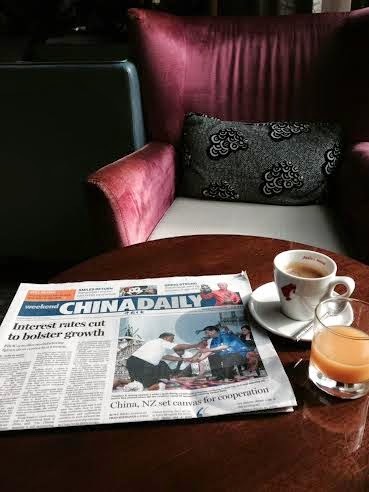 While in China, I read and heard handful of significant economic news about Japan and China. Hence I decide to blog about the world’s 2nd (China) and 3rd (Japan) biggest economies, and how it affects some companies listed in SGX with exposures in these two countries. Just two decades ago, Japan is the economic powerhouse with China’s economy still going through its second stage of infant economic reforms. Today, the wheel of fortune reversed as China surpassed Japan as the world’s second biggest economy. Japan – Short Sunrise! Long Sunset? In June, I blogged about Japan positive outlook after GDP grow more than expected and Nikkei outperformed after tax hike. Read here. Optimism feels the air for Japan then. Just a matter of months, the once land of the rising sun slipped into recession for 3Q. This prompted Prime Minister Shinzo Abe to call for a snap election to seek a mandate for his decision to delay the sales tax increases, last week. What stays the same is stocks still rally in Japan due mainly to the loose monetary policy. Most Japanese listed companies are export-oriented with overseas factories and dependent on overseas demand. E.g. car giant Toyata and Honda etc. The weak Yen boost their profits and these companies usually larger in size are also less affected by rising cost and falling demand within the country. Japan faced problems of country's rising debt, aging population and fading job security. Young Japanese are pessimistic about their country’s future prospect. The elderly scene clearly outstripped the young due to low fertility rate and extended life expectancies. Today, about four in 10 Japanese work in part-time or contract jobs with little job security and scant benefits. For young Japanese, permanent, career-track jobs are the exception, rather than the rule. Ever since the consumption tax was raised from 5% to 8% in Apr this year, real wages and purchasing power of the Japanese are shrinking. People also queue up at supermarket when vegetables and fruits are on sale. It seems like Abe’s economic 3 arrows are missing targets in up to now. 1) Central bank ultra-easy money depreciate yen sharply, export increased but no real investments into Japan due to the jaded domestic demand. Import prices increased and local SMEs suffered in Japan as costs surges. 2) Japan’s fiscal policy increasing budgets for public works projects also faced with difficulty of rising costs of construction. 3) Policy to promote trade and investments, liberalize monopoly electricity sector, strengthened agriculture and improve career opportunities for women seems promising, but so far there had not been concrete measures to push these policies forward. College student Yuto Tanaka, 19, said he knows that there's millions of yen (tens of thousands of dollars) in debt for every person in Japan. But fretting won't resolve that problem, and neither would an immediate tax hike, he said. "This is our children's future," said Mai Yamaguchi, a 29-year-old trading company employee heading into the gaudy Shibuya shopping area for an outing with her 4-month-old son and two other young moms and babies. "Child care, elder care, social welfare are all going to be even bigger burdens for us." On the contrary, China future outlook seems brighter. Chinese people I spoke to are very optimistic about the country and most of them are happy with the efforts of the government so far. China President Xi Jinping who started his fearsome campaign clamping down corruption is showing the softer side of him, busy strengthening relationship with the rest of the world recently. Last week, Xi had successful state visits to Australia, New Zealand and Fiji with agreements to expand their burgeoning trade relationships. 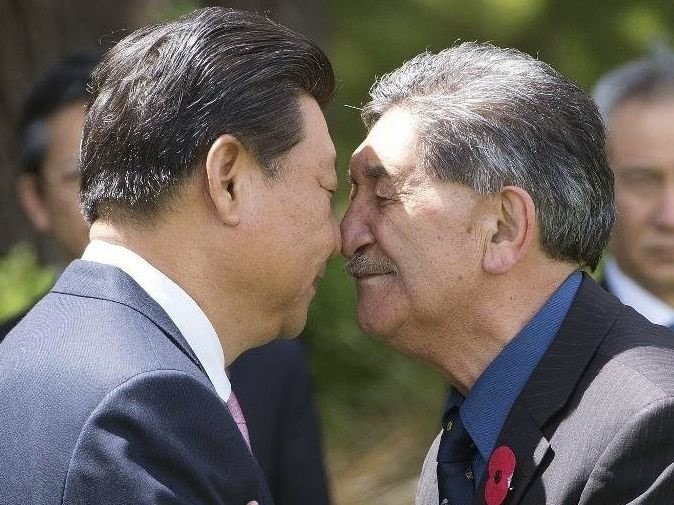 "I have personally felt very privileged these last few days to have spent so much time with President Xi, and to have felt so much warmth personally. These have been some of the most remarkable days of my life. The transition of China from the third world to the first world is a transformation unparalleled in human history. It is the greatest human advance of all time. And we here in Australia are so lucky to have benefited from that rise." – Abbott, Prime Minister of Australia. Earlier in Sep, Xi Jinping visited India’s Modi. India and China then signed 12 agreements, with China committed investments worth $20 billion in India over the next five years. Under Xi, USA-China relationship is seeing improvement too. Xi said, "If China and the United States are in confrontation, it would surely spell disaster for both countries." Xi also developed strong personal relationship with Russia’s President Vladimir Putin in the wake of the Ukraine crisis. Both leaders share strong nationalistic views and are always ready to assert themselves against Western interests. China has also taken on a more critical stance of North Korea, while improving its relationship with South Korea. 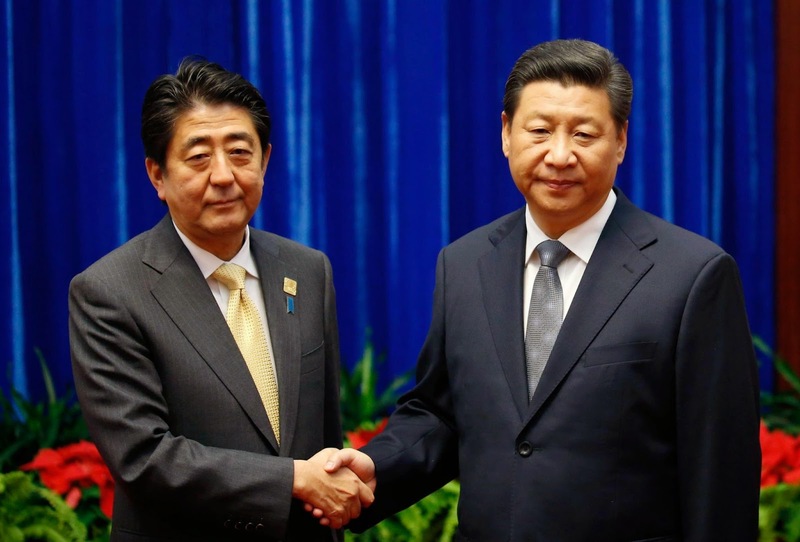 Even in the light of historical soured China-Japan relations, the recent Xi – Abe’s “Handshake” though awkward is a huge leap of improvements between the two nations’ relationships. Oppose to Japan’s aging population, China had a population of rising middle income class driven by a young population filled with drives and eagerness for success. While Japan is struggling with internal political opposition, China communist party has centralized power on reforms to ensure continuity. This is especially important to rule a country with billions of people. To boost growth, China had also announced interest rates cut just a few days ago. The lending rate will lowered by 40 basis points to 5.6% and the one-year benchmark deposit rate lowered by 25 basis points to 2.75%. The recent Shanghai and Hong Kong stock exchanges link is another move aimed to create and facilitate more investment opportunities within the country. It is clear China is having an edge now over Japan in current situation. But it is only fair to give Abenomics more time before discounting its effectiveness. One negative quarter does not spell doomed failure. China is not without its own problems as its economy is seeing slow growth near to contraction, coupled with increasing non-performing loans. This prompted the cut in interest rate. A more stable Chinese environment should also benefit Singapore stocks with China exposure. In particular, SGX Capitaland Limited and Keppel Land Limited who have significant property exposure in China should benefit from the more liquid environment resulted from the recent cut in interest. In view of hardlanding stemming from non-performing loans in China, I am favoring State Owned Enterprise (SOE) who had a more solid financial backing from the central government. Refer to Motley Fool recent article here on the best value SOE listed in SGX. One stock mentioned to have little room for error is China Merchant Holdings. I added this stock, months earlier. Please refer to my blog post here. Another stock in my portfolio with significant exposure in China is CapitaRetail China Trust (CRCT). Refer here for my analysis on the company. To me, it is nature within Chinese people to love shopping or eating out in retail malls. Hence I am longing CRCT. As for Japan, two SGX companies with comprehensive exposure are Croesus Retail Trust (CRT) and Saizen Reit. The former invests in Suburban retail malls while the latter place emphasis primarily on residential-related assets. One important thing to note is also both companies’ earnings will be adversely affected if Yen continues to weaken against S$ and economy persists in recession. However the indicated dividend yield of 7.0% for Saizen and 8.8% for CRT are still worth the thoughts of to invest.